The man denied access to the Paris Metro by a group of the club’s fans would never consider attending their clash with PSG. 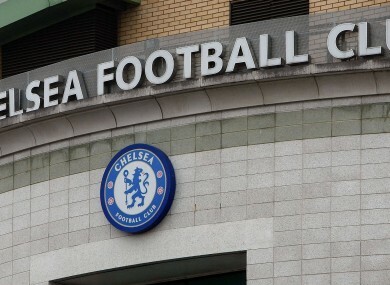 Stamford Bridge, the home of Chelsea. SOULEYMANE S, THE man blocked from accessing a Paris Metro train by a number of Chelsea fans last month, says the club tried to “buy him” with their offer of a ticket to Wednesday’s clash with Paris Saint-Germain. The 33-year-old Parisian, who is black, was denied access to a train prior to the UEFA Champions League clash at the Parc des Princes last month. The incident caused outrage and, after Chelsea suspended several supporters who were allegedly involved, the Premier League side offered Souleymane the chance to be a guest for Wednesday’s return leg against PSG. However, after the lawyer for the French-Mauritanian dismissed suggestions he would turn up at Stamford Bridge, Souleymane accused Chelsea of trying to “buy” him. “I won’t go. They can’t buy me with a little piece of paper. I’m not a child,” he told French radio station RTL. “I don’t want to sit in that stadium next to those people who pushed me. “I still hear the voices of those people who pushed me because of the colour of my skin. I can’t go to work anymore. Email “Chelsea can't buy me with ticket, says racism victim”. Feedback on “Chelsea can't buy me with ticket, says racism victim”.